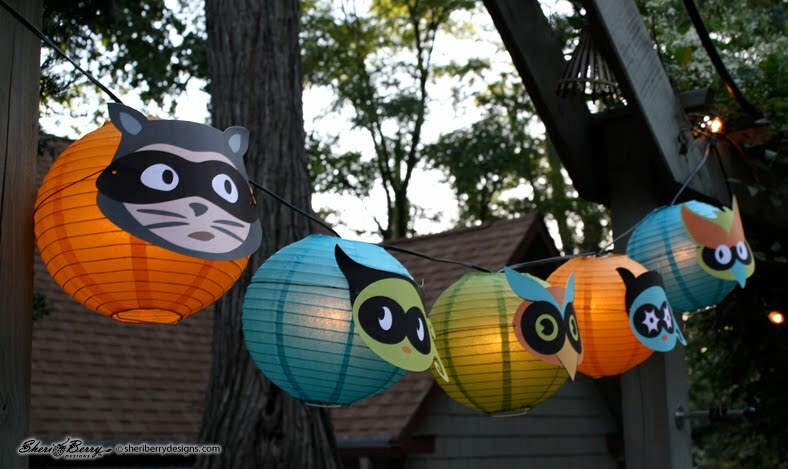 Masked in cuteness these summertime lanterns double as glowing Halloween globes to light the way for the trick or treaters in your neighborhood. With a little time and not much effort you can make these lanterns in time for the event. I simply printed and cut the Costume Clubhouse Masks from Lettering Delights. I choose to keep the eyes on the masks, rather than cutting out the eye holes (which are great for masks on people, but not so much on my lanterns). I was able to get the paper lantern string of lights from Target a few weeks ago, from the summer season gardening collection. The globes are about 8" in diameter and come in an 11'3" string with ten lights. 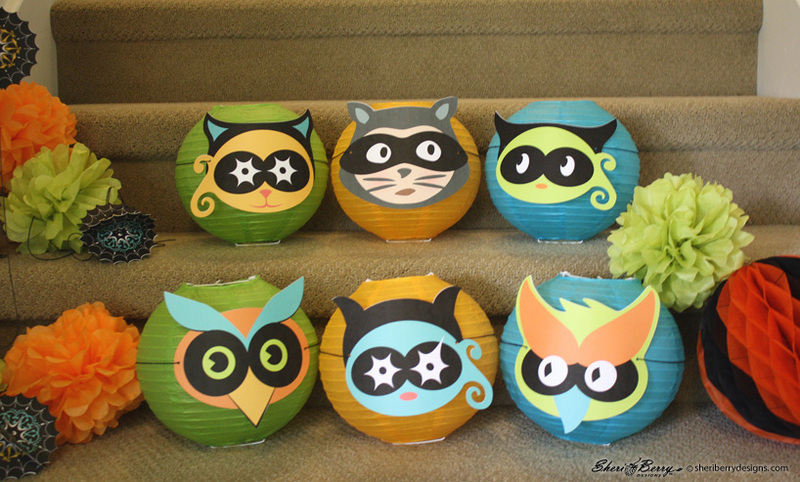 There are also red and yellow lanterns in this set, but I chose to use only the orange, green and aqua as they are the perfect colors for my Costume Clubhouse art. 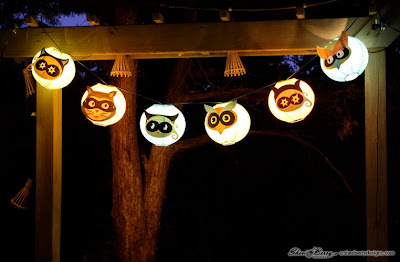 These lanterns also come in a smaller size with globes 3" in diameter and ten lights on the string. Once I had the masks cut and lanterns assembled I secured each mask to a lantern with my black string. Because the lanterns have horizontal grooves, the string fits nicely around the center and the groove keeps the string in place quite well. The only thing left to do is to hang the lanterns and let them light the way on Halloween night. This is awesome! You have all the makings of a totally fabulous party! These are so cute, Sheri! Oh my goodness, these are fabulous! Congrats on your Moxie Fab shout out. That is so stinking cute I can't even stand it!